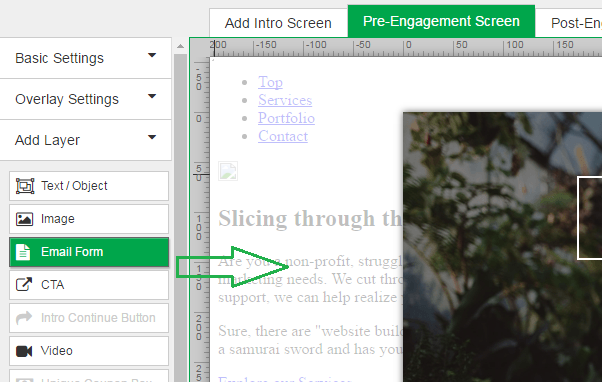 This document covers the steps needed to configure the Drip Design Canvas Integration. 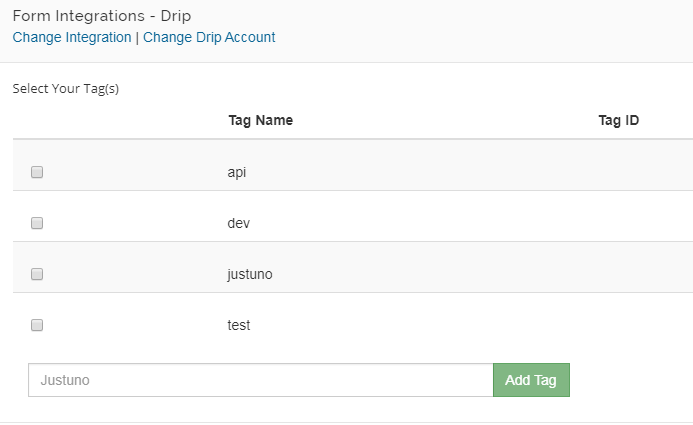 This integration is a requirement for all Drip customers. Click the “Drip” tile and authenticate. 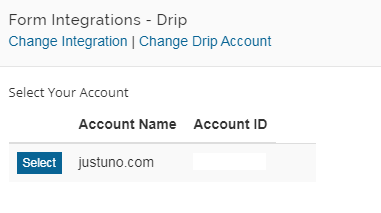 Enter your Drip Account Credentials to authorize Justuno to add new Contacts and Events to Drip. Once authenticated, select the Drip Account that should be used for this integration. Once authenticated, you will see a couple standard Drip Events that can be started when a contact is added. Use the field below to add new Events. After selecting some Events, you will see any Tags that exist for your Account. 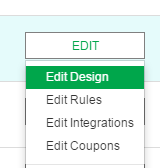 Select all that apply to new contacts or create a new Tag. We provide a limited set of fields to use which you can use in the Create Form process. 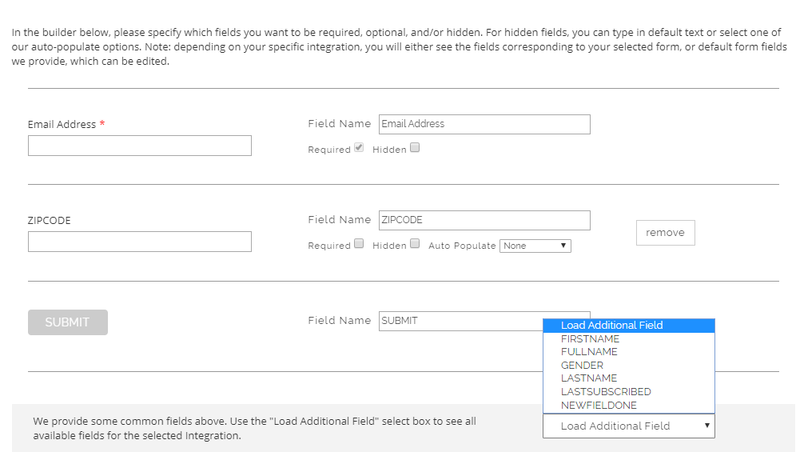 To view/use your Drip Custom Fields, click "Load Additional Fields" and check off the fields you would like to add to the form. 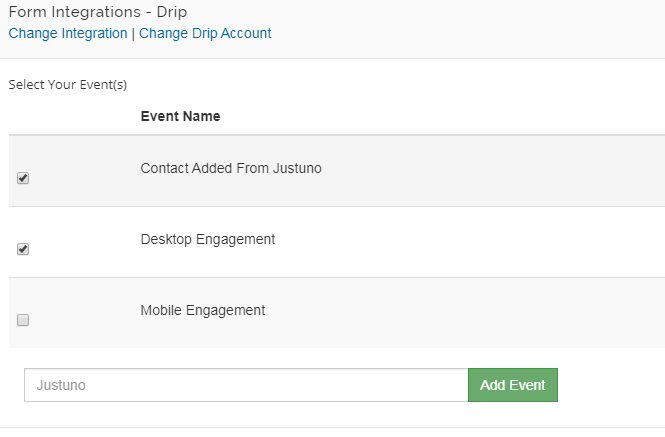 New contacts added to Drip will show the selected Events and Tags in the Activity tab of the Subscriber detail.